Free Lightroom Presets + First actual snow fall of the season. So, in simple words… I’m pretty excited about this post. It’s the very first time I’m blogging about Photoshop actions and it’s sort of a big deal in this generation as a photographer. Today I will discuss Lightroom Presets. And Photoshop Actions will be for another time. Many might not know what they are or how to use them and the first step is to have Lightroom installed on your computer. If you have either LR2 or LR3 you’re good to go. What are Lightroom Presets? They are series of recorded steps by the designer or photographer to help the editor achieve a look without having to manually apply each process. It allows the editor, at the click of a button, to enhance and enrich their photos in a fast and efficient way… In the simplest words possible, they are short cuts to an automatic process. How can Actions help me as a photographer? What are some advantages in using them? – Gives you a variety of looks by trying new actions. – Makes editing a breeze and way more fun. – Just to name a few… But there’s really thousands of reasons and advantages in using Actions. How to download my Lightroom Presets? (These downloads that I have provided for you below are tested only on Mac’s. If you have a PC I don’t guarantee the same easiness.) Lightroom presets are as easy as 1-2-3 to download. Simply click on the link. After it has downloaded, double-click on the .lrtemplate file, your computer will understand what you want and it will open up Lightroom for you automatically. Once it has opened up LR it will ask you if you want to install your action. 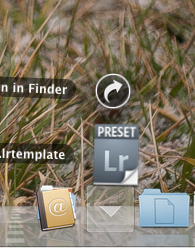 Click install and it automatically transfers your preset to your LR presets table. So I know you’re wondering why I have all these effects on the photos below, when I never use them… Well I know and respect other photographers out there that have their own style and I’d love to help them out by getting their hands on these cool free actions. Every photographer has their own editing process that they like and are used to, and there’s nothing wrong with that. So if you’re someone who likes to get all funky and creative with your editing process feel free to download these 16 awesome Lightroom Presets that I have posted especially for YOU!